Iranians shrugged off the possibility that a bellicose exchange of words between U.S. President Donald Trump and his Iranian counterpart could escalate into military conflict. Iranians on Monday shrugged off the possibility that a bellicose exchange of words between U.S. President Donald Trump and his Iranian counterpart could escalate into military conflict, but expressed growing concern America's stepped-up sanctions could damage their fragile economy. This was after Iranian President Hassan Rouhani remarked earlier in the day that "American must understand well that peace with Iran is the mother of all peace and war with Iran is the mother of all wars." To Iranian President Rouhani: NEVER, EVER THREATEN THE UNITED STATES AGAIN OR YOU WILL SUFFER CONSEQUENCES THE LIKES OF WHICH FEW THROUGHOUT HISTORY HAVE EVER SUFFERED BEFORE. WE ARE NO LONGER A COUNTRY THAT WILL STAND FOR YOUR DEMENTED WORDS OF VIOLENCE &amp; DEATH. BE CAUTIOUS! Within hours, Iran's state-owned news agency IRNA dismissed the tweet, describing it as a "passive reaction" to Rouhani's remarks. "Both America and Iran have threatened one another in different ways for several years," shrugged Mohsen Taheri, a 58-year-old publisher. A headline on a local newspaper quoted Rouhani as saying: "Mr. Trump, do not play with the lion's tail." Prominent Iranian political analyst Seed Leilaz downplayed the war of words, saying it was in his opinion "the storm before the calm." Leilaz told The Associated Press he was not "worried about the remarks and tweets," and that "neither Iran, nor any other country is interested in escalating tensions in the region." Citing harsh words the United States and North Korea had exchanged before the high-profile summit between Trump and North Korean leader Kim Jong-un, Leilaz said Trump and Kim got "closer" despite the warring words. Meanwhile, Trump's tweet was reverberating across the Mideast. Israeli Prime Minister Benjamin Netanyahu praised the U.S. president's "strong stance" after years in which the Iranian "regime was pampered by world powers." With the economic pressure, Trump said earlier this month that "at a certain point they're going to call me and say, 'Let's make a deal,' and we'll make a deal." 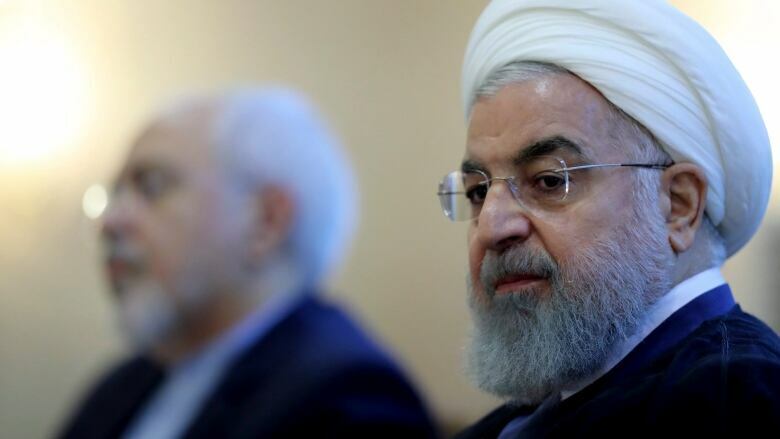 Iran has rejected talks with the U.S., and Rouhani has accused the U.S. of stoking an "economic war." 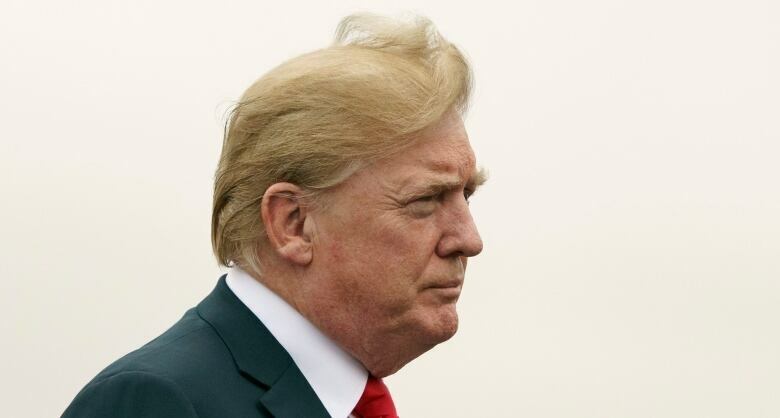 Trump's tweet suggested he has little patience with the trading of hostile messages with Iran, using exceptionally strong language and writing the all-capitalized tweet. Another Tehran resident, Mehdi Naderi, fretted that the U.S. measures and his own government's policies are damaging the lives of the average Iranian. "America is threatening the Iranian people with its sanctions and our government is doing the same with its incompetence and mismanagement," said the self-employed 35-year-old. In the case of North Korea, the public war of words cooled quickly and gradually led to the high-profile summit and denuclearization talks. There has been little tangible progress in a global push to rid North Korea of its nuclear weapons program since the historic Trump-Kim summit on June 12. U.S. Secretary of State Mike Pompeo flew to Pyongyang for followup talks this month, but the two sides showed conflicting accounts of the talks. North's Foreign Ministry accused the United States of making "gangster-like" demands for its unilateral disarmament. "Iran is angry since Trump responded to Tehran's engagement diplomacy by pulling the U.S. out of the nuclear deal," Iranian lawmaker Heshmatollah Falahatpisheh told the AP. "They express themselves through speeches since diplomatic channels are closed," said Falahatpisheh who heads the influential parliamentary committee on national security and foreign policy. 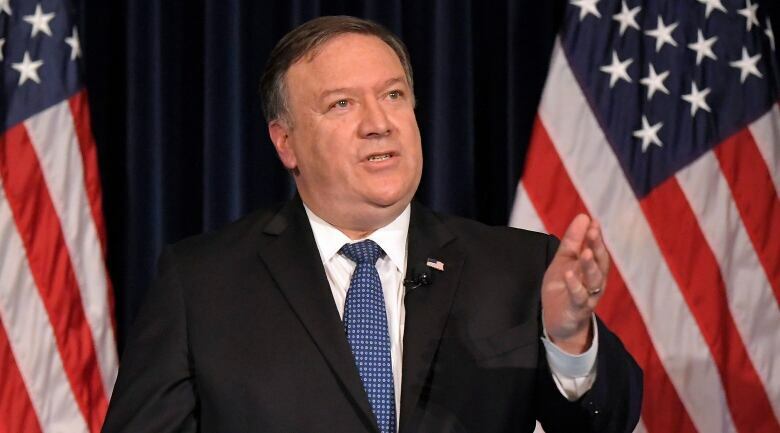 On Sunday in California, Pompeo was strongly critical of Iran, calling its religious leaders "hypocritical holy men" who amassed vast wealth while allowing their people to suffer. In the speech at the Ronald Reagan Presidential Library and Museum, Pompeo castigated Iran's political, judicial and military leaders, accusing several by name of participating in widespread corruption. He also said the government has "heartlessly repressed its own people's human rights, dignity and fundamental freedoms." Despite poor treatment by their leaders, "the proud Iranian people are not staying silent about their government's many abuses," Pompeo said. "And the United States under President Trump will not stay silent either."